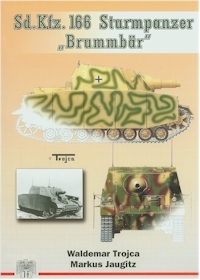 I believe this to be the best reference for the Sturmpanzer currently available, it is however a volume one and only covers the series 1 & 2 versions and only covers a brief history of Str.Pz.Abt 216. It has many period photographs and a few of the Series 1 Sturmpanzer in Kubinka. It also has some color drawing as well as line drawings of vehicles and feature detail.